At 20 years old, Maurice Baril left uOttawa to join Canada’s army. Why wait for graduation, he reasoned? 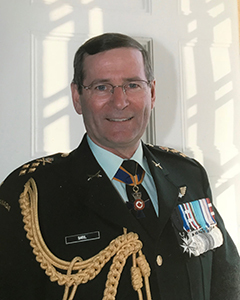 His decision opened the doors to an exceptional 40-year military career in which he rose to the rank of general, handling command and staff responsibilities across Canada, the U.S. and the Middle East, Europe and Africa, and serving as Canada’s chief of defence staff. Baril retired in Ottawa in 2001, after moving 22 times around the world with his family for military assignments. 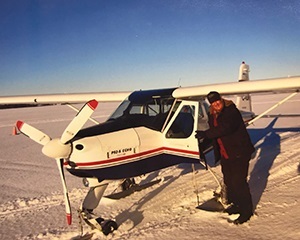 Today, he focuses on family life and passions such as flying small airplanes and volunteering on the board of directors of Beechwood Cemetery. 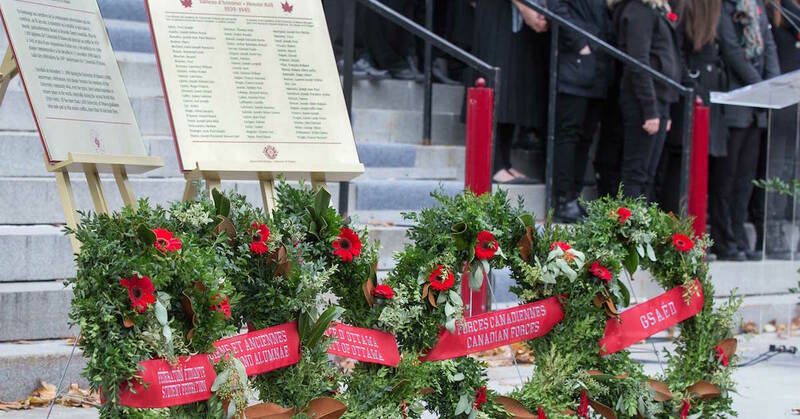 He will deliver uOttawa’s Remembrance Day message at a commemorative ceremony on Friday, November 9 at 9:30 a.m., in the Rotunda of Tabaret Hall. We spoke recently with Baril about his career, leadership and today’s military. Below are some excerpts from that conversation. In the military you’ve got to be somewhat lucky. First of all, you’ve got to be lucky to survive what you’re exposed to. You’ve got to be lucky not to be injured, both physically and mentally. You’ve got to be lucky to marry the right person — otherwise you could not leave your family behind. You’ve also got to be either lucky or have the knack of choosing the right people around you. I was good at choosing people, but I was better at getting the best out of people. I always said I worked with the hand I was dealt. Very rarely did I handpick people, because all people have good qualities — it’s how you use them at the right place and at the right time. In my opinion, a generation in the military is five years and then there will be a complete change of senior leaders. It is essential we prepare those coming behind us because they’re going to replace us! Those people have to be ready to lead. The quality of the people we have now has improved from the time I joined. And the quality of the forces has improved. Why? Because that’s the way it should be. If we don’t think this way, we’re going backwards. There are ups and downs. Peacetime is a pretty difficult time to lead. You’re never completely ready for the conflict you’re asked to deal with. So when you get involved in any mission or conflict, you have to reorganize and deal with it the best way you can at the start and adjust as the mission progresses. With Mali, were they ready to go there? Of course. By maintaining general purpose capabilities, as soon as something happens, you’re ready to go. That’s what our military has been very good at. It’s important that Canada doesn’t forget what the veterans have done for our country. 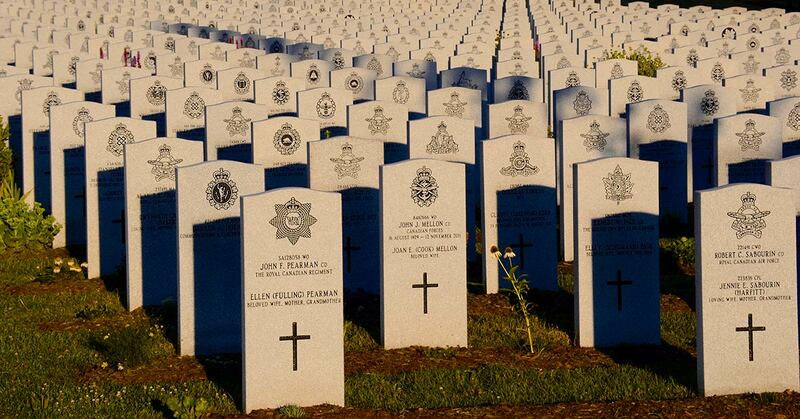 Veterans don’t ask to be remembered, but rather that we remember what they did and why. I’ll attend the ceremony at the National Military Cemetery at Beechwood, and stand with the ranks of veterans. There will be two to three thousand of us, with families and friends and ordinary citizens. In the late 90s, Roméo Dallaire, myself and a few others decided we were going to have a military cemetery where everyone who has served their country will have the right to be buried there. When you serve in the military, you don’t decide where you deploy and serve. You serve in the conflict your country decided to become involved with. Now, anyone who has worn the uniform can be buried in the National Military Cemetery at Beechwood. Peace in the world is something that doesn’t happen on its own. I’ve dealt with many conflicts, especially while serving with the United Nations, and learned the hard way we can’t save the world all at the same time. The worst that can happen is to lose hope and give up. When so much was happening at the same time, I would try to clear my head by remembering that my family was okay, my little village (Saint-Albert-de-Warwick, Quebec) was okay, my province was okay, and so was my country. So, I would get back to work and do all I could to make a difference.